This course is for Healthcare Professionals who need to know how to perform CPR, as well as other lifesaving skills, in a wide variety of in-hospital and out-of-hospital settings. This course is often required by many hospitals or schools related to the medical field. 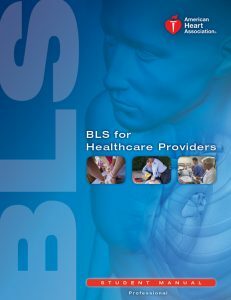 Individuals such as nursing students, EMT students, PA students, and others will likely be required to be certified in BLS before or during school sessions. Although this course is designed for healthcare providers, the general public is welcomed to take the course. We understand that your CPR class sometimes gets put on the back burner. We are more than happy to try to fit you in today!